Small Groups – Men! Women! Younger couples (15 – over half are new people!) Children! We have had folks join our church family during this journey! People re-reading, re-listening to sermons…asking for copies of messages that have been powerful for them. 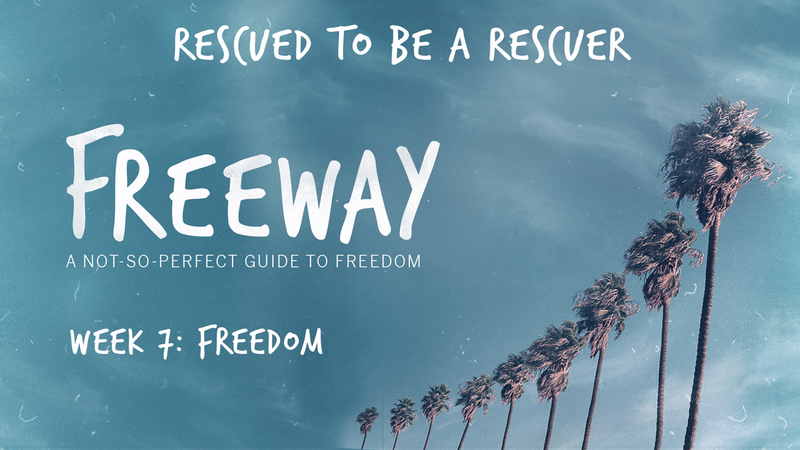 Listen to this: as of yesterday, on our website, over 1,140 people have viewed one of the 6 Freeway sermons! Beyond these walls, we have reached over 1,100 people with a message of Freedom and God’s love! Sharing with folks in the community….there is a buzz about Hood around Dunn. I hear folks talking when I am out and about… friends, over the past year and a half, we have elevated the witness of Hood throughout Dunn! When I first came to Hood – I could sit all week in this building and barely see anyone – except for folks coming to water flowers or to prayer meeting on Wednesday afternoon and choir practice. Today we have folks doing yoga two nights a week, we have people coming here for counseling every weekday evening, our AA and NA groups are thriving, folks are coming by all the time to help out with things around the church, we have designed this beautiful history and conference room that you see today, on Wednesday evenings our parking lots is filled with cars because of a new small group and children’s classes! It is stunning how far we have come in a year and some months! And there are two things that I want to say about all these amazing things happening at Hood MCC. First, God is rescuing us! And you are witness it. Everyone of these accomplishments is proof that God is rescuing this church! A church that in your words when I came here was dwindling. Today we are growing…growing despite four beloved Saints we have sent on to be with God this year so far. We are growing. Worship this summer was 50% higher attendance than last summer! We are growing….and for those out there listening to this message on the internet or radio….you don’t want to miss out on what is happening here! God is rescuing this church and you don’t want to miss out. It is an amazing time to be part of Hood MCC. God is rescuing us so that we can be rescuers. Rescued to be a rescuer. That’s right. All these great things mean nothing if we are not sharing our story, our journey, our experience with others. Yes, God is rescuing us and amazing things are happening…in our church and no doubt in each of your lives as well. (In fact, I have heard some amazing and touching and moving things from many of you all over the past 6 weeks about how God is impacting you through a small group or a sermon or a devotion!) But all this goes nowhere if we don’t share our story. God is rescuing you! Grab a hold of God’s arm! Let him pull you out of the mud! And then share that story of being rescued. Let me give you an example straight from scripture. John chapter 4 tells a story about Jesus, a Samaritan woman, and a well. Jesus had to go through Samaria. Had to…this is interesting because Jews and Samaritans did not get along….didn’t like each other. Usually Jews would bypass going through Samaria to avoid Samaritans. So, no, Jesus did not have to. But scripture says he did have to. Interesting isn’t it. Perhaps Jesus knew he needed to go through Samaria, knew something important and life changing could happen there. Whatever it is, Jesus goes through Samaria when normal Jews, especially Rabbis, would not. A Samaritan woman came to the well to draw water. Now this is also interesting because normally women would go draw water in the morning to get water for the day and about sunset in the evening to get water for the night. But not at noon. So why is this woman getting water in the middle of the day? Hold on to that question. Jesus said to her, “Give me some water to drink.” His disciples had gone into the city to buy him some food. Now we know why she didn’t get water in the morning or evening. She has a reputation. She has a past….a past full of mistakes that would, in this society, shame her. So why is she going at noon? Well, to avoid people. To avoid facing her mistakes and those who would stare at her, look with shame upon her, mock her. She goes at noon to be alone. Jesus shouldn’t even be taking to this Samaritan woman.and yet the two have a conversation. Over the next few verses, Jesus speaks about breaking down barriers between Jews and samaritans. And he practices what he preaches by talking to this Samaritan woman. The woman is shocked at Jesus words. He knows what she has done, and yet speaks to her without condemning her. This woman’s hopes were literally being fulfilled right in front of her. Barriers were being broken down. Barriers that wore her down, barriers that put her to shame. Barriers that defined her life. And Jesus’ actions, his acceptance of this woman, pulls her out of these barriers, out of the mud and mud, of her life. This woman who went to the well at twelve in the afternoon because she wanted to avoid the crowd is now going back to the crowd and telling them about Jesus. Why? How? Because Jesus broke down her barriers, freed her from the shame she experienced. And her response is to immediately share it. Her mistakes, her failure, her shame was transformed. Through Jesus, she had now become aware of her mess, she had owned it right in front of Jesus and found that she was not condemned but instead forgiven. And she begins to accept that forgiveness, to accept Jesus, to accept herself. And now she is compelled to share it, she is feeling led to share, she is feeling called to share it with others. God can use your biggest failure to be the launching pad of your greatest calling. Freedom in our lives is fulfilled when we share it with others. God wants to use your freedom story for good and amazing things. God wants our stories to impact one another. Because God knows the power of stories. God knows that one persons story can open the door for someone else with a struggle in their life. One freedom story can be the key to the beginning of another freedom story for someone else. So if don’t remember anything else I say today, I hope you’ll remember this: You were rescued to be a rescuer. God rescues you to be a rescuer. You see, somewhere along life we bought in to the idea that God only wants the righteous and perfect parts of us. That God wants us to fix ourselves, that God doesn’t like the broken, sinful stuff of our lives. But the truth is that God doesn’t use perfect people; (just read about the people God uses in the Bible…none of them are perfect, they are all broken!) God doesn’t use perfect people; God uses broken people who allow him to shine through their brokenness. If you were here last week, you remember me talking about Kintsugi – a form of Japanese art that is all about allowing brokenness to shine through. I talked about Christ being the gold that repairs the brokenness in our lives making us God’s beautiful work of art. Just like this vase Lynda made for us this week. This is always the way God see us. As his beautiful work of art. And here’s what else is true: If you will allow others to see your beautiful, gold filled cracks…the brokenness in your life will be a testimony that may just help them begin to accept the gold Christ is using to fill in the cracks of their lives as well. God made you a beautiful work of art so that others might see you and allow God to make them beautiful works of art as well. Find God’s freedom in your life through Christ…and then share it with others. Because you have been rescued to become a rescuer. And as we work with one another to share our stories throughout this community, we will find that God continues to rescue us together, as this family of faith which gathers on the corner of Cumberland and Clinton, this people on God’s mission called Hood MCC. Amazing things are happening. God is rescuing us. Let’s be like the woman at the well and share our transformation story. Because through it God will rescue others from their pain and shame and hurt and fear…and God will continue to rescue us as well. Amen.